One box of H&N Sport bullets in .429 diameter, 240 grain total copper plate bullet heads with additional plastic coating. Truncated cone (TC) form with a crimp cannelure for more consistent performance. Each box contains 250 pieces. 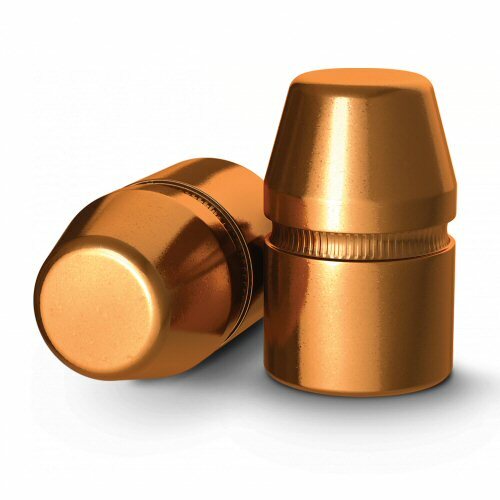 The bullet heads are made to tight tolerances (per thou) for superb consistency and accuracy. Bullet heads tested for velocities exceeding 320 m/s and 3.000 bar gas pressure. This product is supported by load data which is available on HN-Sport.de website. Made in Germany.